Name one of the 4 teams competing in the inaugural Netball Diamond Challenge. Details of the inaugural Netball Diamond challenge have been confirmed and it promises to be the complete mix of amazing sport and entertainment. 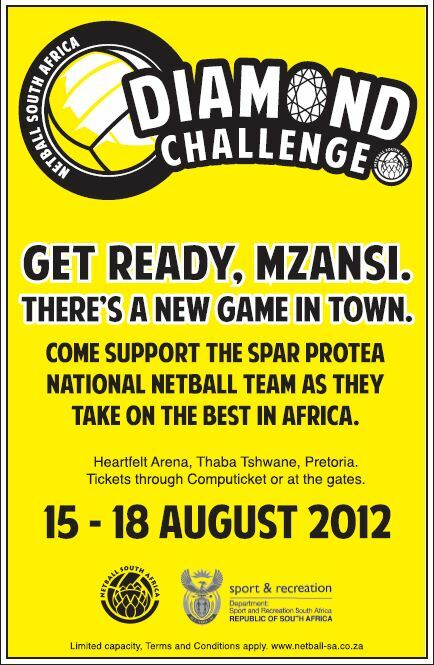 The Netball Diamond Challenge will see South Africa, Malawi, Botswana and Zambia competing in a round robin tournament at the Heartfelt Arena in Pretoria from 15 – 18 August 2012. The objective of the tournament is to celebrate the role of women in sport and in particular elevate the profile of Netball in South Africa as we celebrate women’s month. “We are very excited about the Netball Diamond Challenge, and our plan is to grow it into the premier netball event on the African continent. 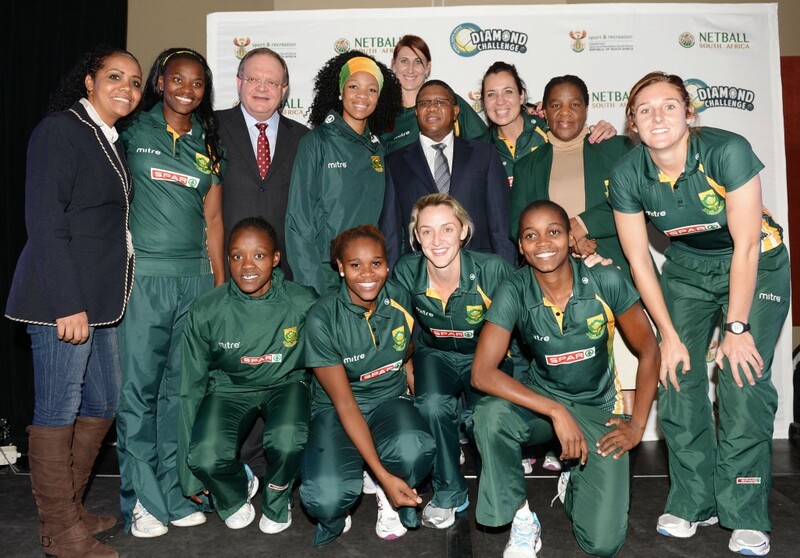 Netball remains one of the largest sporting codes in the country and it deserves to have a professional league and roar to a stature of the likes of soccer, rugby and cricket” said Minister Mbalula.